Since its inception, music has been at the core of Steven Universe. Built on a background of musical theater, with leitmotifs and fusion dances written into the very fabric of the show’s lore and mythology, the show has delighted viewers with its wonderful music. 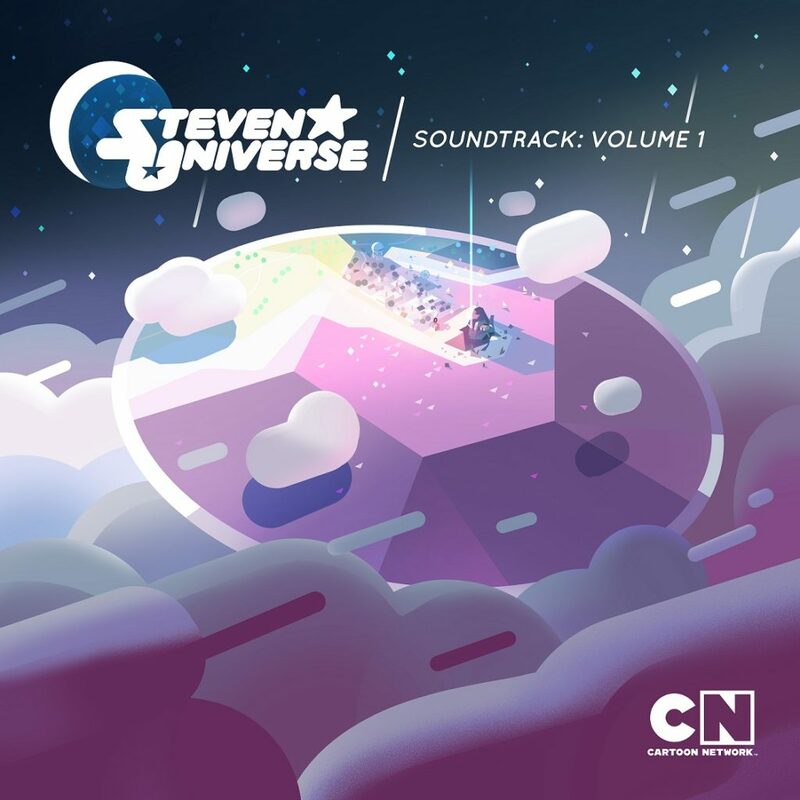 Steven Universe Soundtrack Volume 1 is a collection of practically every single song from the show’s first four seasons, and is a must have for any dedicated fan. I am so excited about this album that I hardly have the words! We poured our hearts into these songs and now they’re finally collected and stunningly re-mastered by our composers Aivi & Surasshu. I can not say enough about how much I love each of these tracks! But I can say that this is the best they’ve ever sounded! Please blast them! Please sing along! That’s what these are for! If the music of Steven Universe has been a tiny piece of the score of your life, please know that I’m so honored. I hope you’ll love this album as much as we loved making it. I can most resoundingly say that I did. The foremost thing to talk about is how crisp all the music here sounds. It’s at a quality that just cannot be matched by the TV or the official Aivi and Surasshu Soundcloud. Incidental bits of episode dialogue or sound effects are gone, the vocals are sharper, and the instrumentals clearer. The Steven Universe Soundtrack Volume 1 kicks off with the original version of “We Are The Crystal Gems” from Season 1, with a separate track dedicated to the full extended theme. While the album would be worth it to hear the remastered versions of “It’s Over (Isn’t It? )” and “Stronger Than You”, there are also a couple of exclusives, like the full extended version of “Haven’t You Noticed (I’m A Star)” sung by Olivia Olsen of Adventure Time fame, and the completed version of the show’s haunting ending theme, “Love Like You”, sung by Sugar herself. All the expected fan favorites are on the list, as well as some occasionally underappreciated pieces, such as “Be Wherever You Are” and “Destiny”. Admittedly, the inclusion of some of the shorter, more comedic songs like “Big Fat Zucchini” may raise some eyebrows, but at 37 tracks, who’s going to complain about additional content? I personally would have preferred if they had instead showcased some of the show’s lovely background instrumental pieces… but perhaps we can get an entire volume dedicated specifically to those? (And while we’re on the topic of other volumes, perhaps a collection of demo versions of the songs? It can be fascinating to see the artistic process and discover how a piece became what it was). Certainly, naming the album “Volume 1” suggests we will see follow ups, if fan demand is high enough. Steven Universe Soundtrack Volume 1 will be available for purchase in digital music stores, as well as on all major streaming platforms, on June 2nd, 2017. It is available for preorder starting today, May 18. Composers Aivi & Surasshu participated in a Cartoon Network Facebook Live event to play never before heard versions of fans’ favorite songs on Wednesday, May 17. What’s your favorite song from the show? Which song are you looking forward to listen to the most? How excited are you for the soundtrack? Tell us all about it in the comments!